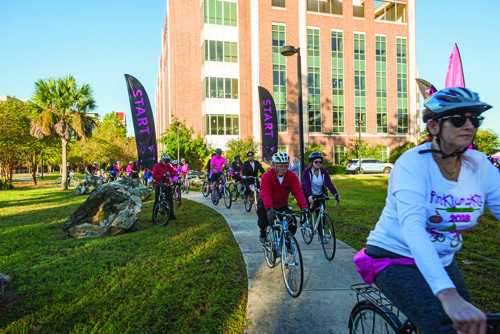 Under a clear, blue sky, bicyclists set off on this year’s Pink Pumpkin Pedal-Off charity bike ride through Gainesville to raise money to support breast cancer research at UF. 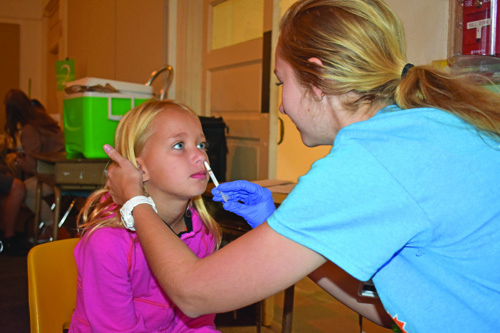 UF College of Nursing students visited area elementary schools to administer the nasal mist flu vaccine as part of the Control Flu program. 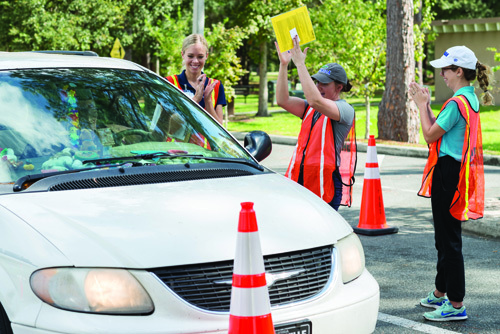 Occupational therapy students at the UF College of Public Health and Health Professions celebrate with a driver who visited the CarFit program, which offers personal adjustments to help older drivers fit more comfortably and safely in their vehicles.